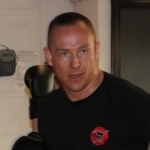 We were formed in 1982 by 5 Time World Kickboxing Champion KEVIN BREWERTON. Since then Farnham has become a respected Centre of Excellence for all types of martial arts (Kung Fu, Kickboxing, Boxing and Self Defence). 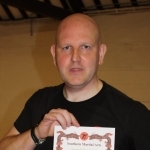 All senior Instructors were personally taught by Kevin and still maintain their high quality of skills. Rest assured that all our Instructors have attended Instructors and 1st Aid Courses. They must be assessed and pass before they can teach classes. So, if you are interested in becoming part of our successful organisation, please take 10 minutes to look through our website and then contact an Instructor or better still, come to a class!